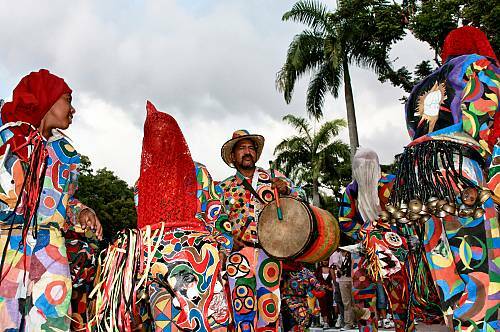 The small communities along the central coastal region of Venezuela have a special way to celebrate the Feast of Corpus Christi, an annual Roman Catholic holiday commemorating the presence of Christ in the Sacrament. 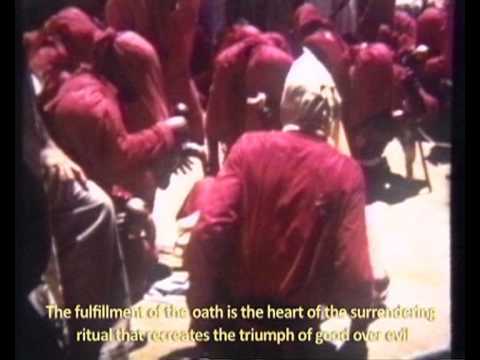 Groups of adults, young men and children disguised as masked devils dance backwards in penitence as an official of the Catholic Church carries forth the Blessed Sacrament. 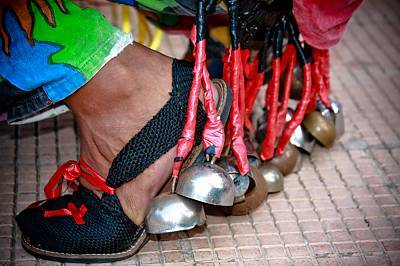 String and percussion instruments provide musical accompaniment and worshippers carry maracas to ward off evil spirits. 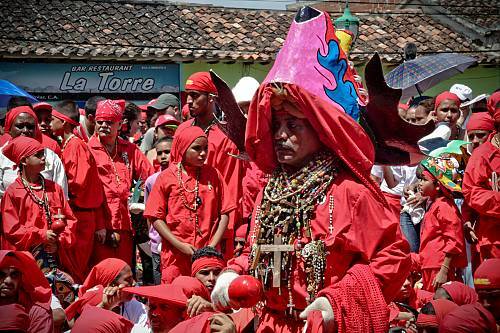 At the climax of the celebration the devils surrender to the Sacrament, symbolizing the triumph of good over evil. 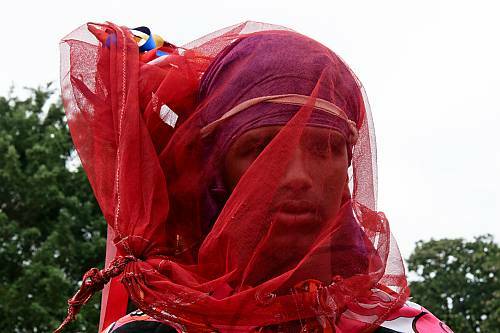 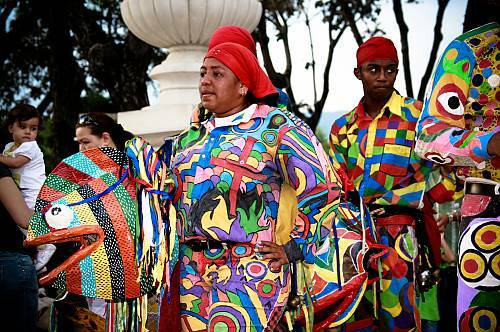 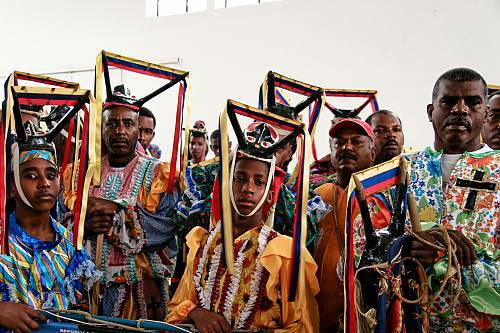 The dancers or promeseros (promise-keepers) are lifelong members of a confraternity that transmit the historical memory and ancestral traditions. 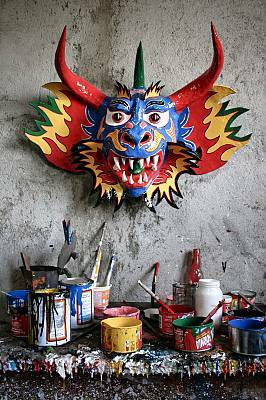 Each confraternity crafts its own devil masks, which are worn with crosses, scapulars and blessed palm leaves. 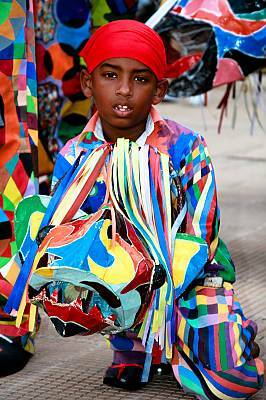 Dancers also use bells, handkerchiefs and strips of ribbon as protection from evil spirits. 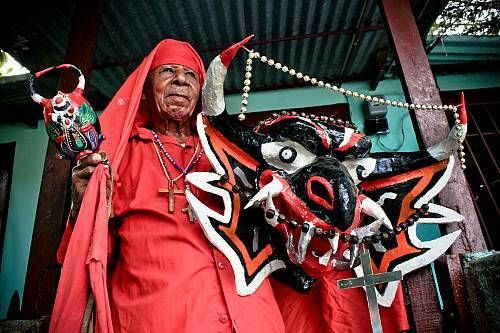 Women oversee the spiritual preparation of children, organize the stages of the ritual, prepare food, provide support for the dances, and raise altars along the procession route; in recent years, some communities have begun to welcome them as dancers. 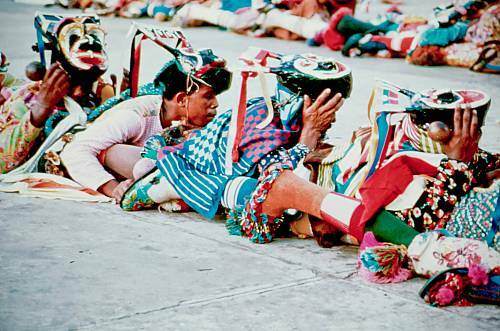 The practice is steeped in creativity, organization and faith, and promotes a strong sense of communal and cultural identity.